My innermost feelings and thoughts on Stills. 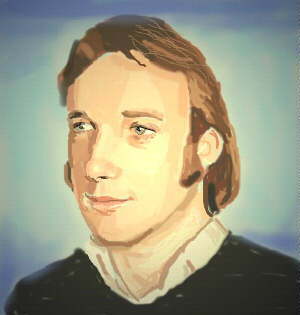 . .
Stephen Arthur Stills. . . a deep rooted man, with lots of stories to tell and lots of soul to share. You can tell alot about him just from looking at his eyes. Always in thought, and soul searching. Each glance he takes at people, is like he's searching into your soul to see what kind of a person you are, and I think he can tell just by looking inside. Stills has so much to offer. Sure on the outside he's fairly quiet, reserved and inverted. But on the inside there are words and thoughts always churning. There's an honesty in his music. A passion that is really hard to find. A closeness you feel, as if he were family. Lyrics that come from his heart and soul. About lost love and love lost, wounded feelings, and mended fences, saving rainforests, and retired vietnam pilots, about how we can show the world love, and closing the door to hate. . .
And his guitar, the genuine love of his life, his confidant. Playing it unpredictably, and swiftly, slow gentle moves, bluesy and smokey, to fast, like a train gaining speed. He can make it wail or he can make it sing, he can make it cry or dance the night away. And his talents extend into other musical instruments, channeling that passion through everything he does. Exploring every avenue from down deep in New Orleans to out in the country side, and to Cuba, and the Latin-esque feel. These things attract us to Stills' music and the man behind those eyes. Although, I have to admit, he is very under-rated. Those who don't know him are truely missing something spectacular. A teacher, a producer, a writer, a horse ridin', boat sailin', rainbow. It would be wonderful if others who don't know who he is or haven't explored him, could see what I see in him. . . So, Stephen, if you're reading this, know that alot of people love who you are. . .the whole package. . .YOU. You're listening to "Guitar man" by Bread. . . not a Stills song but hey it fits !